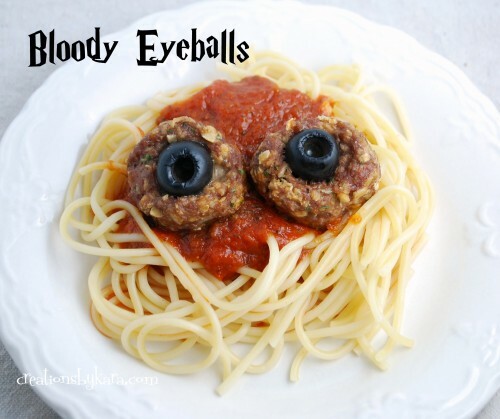 If you are looking for a fun Halloween spaghetti idea and want something on the spooky side, add a couple of meatball eyes to the mix like these bloody eyeballs from Creations by Kara. Or you could go with an entire face like this crazy Halloween spaghetti from Family Fun. 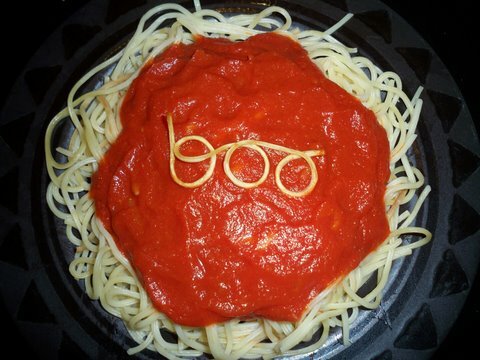 But I still love the simplicity of Boo Spaghetti. I love this. So cute. Thank you for the idea :) Just found your blog- Love it. Consider it bookmarked. Have a great day. Rochelle.